her hand into it...she was not pleased. 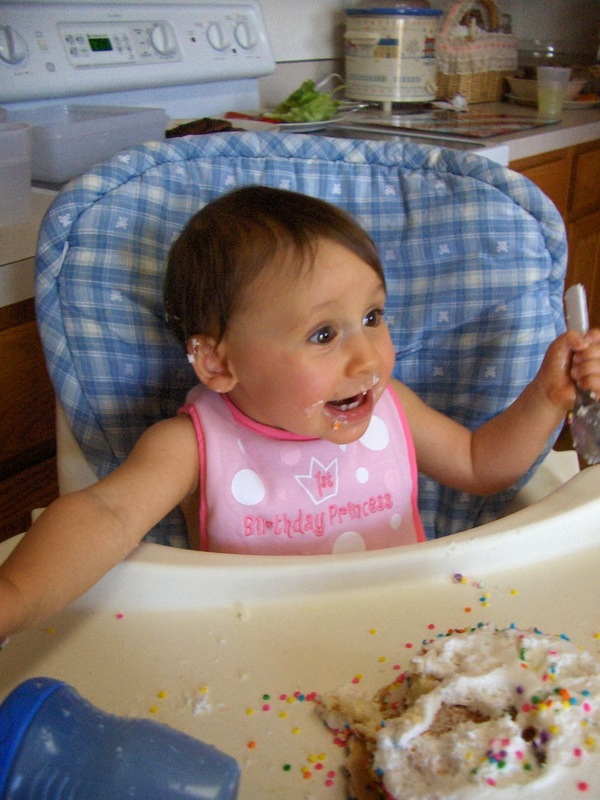 Baby's first birthday is one of the most exciting milestones in a parent's life. It's an amazing day recalling the circumstances of birth or of adoption. 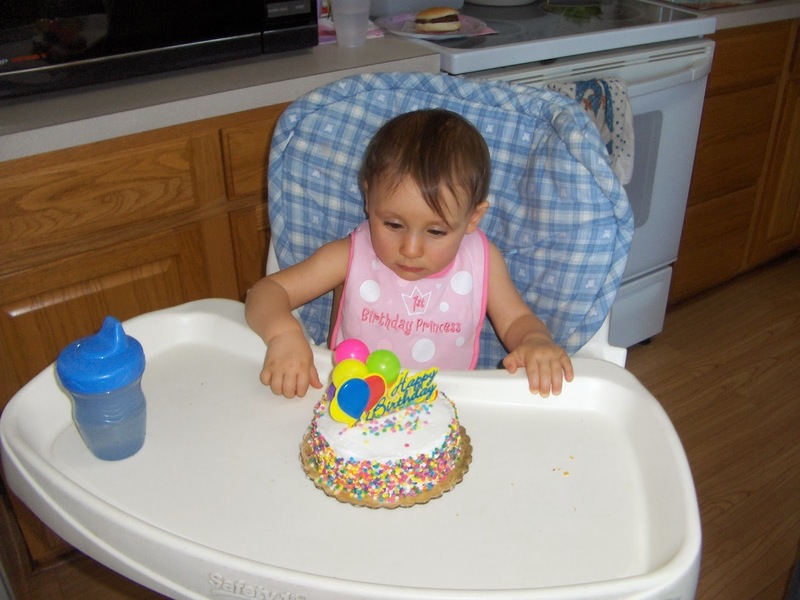 First birthdays celebrate the joy that your child brings to your family. 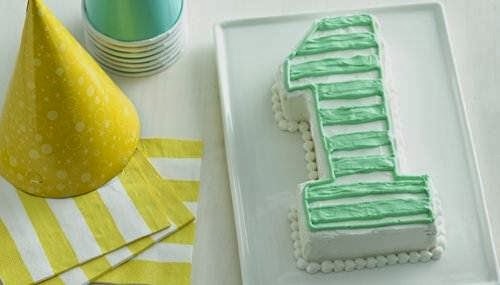 When my kiddos turned 1, smash cakes were just starting to take a toe-hold. We got our three kids their own kids cake (smash cake) and let them go at it. 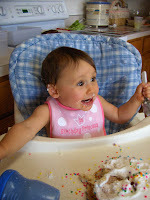 Our oldest ended up painting the highchair in frosting. The middle one wasn't sure about any of it and only 'sort of' enjoyed it. 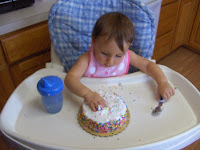 Our youngest was a girly-girl from birth and kept picking at the frosting, but wouldn't dive in. A friend stuck her hand in and she bawled--she wasn't into the mess...at first. But by the end, cake was in her hair, on the floor, in her diaper, everywhere! But, she did continue to pick at it in a very dainty manner. No grab and squish for that girl. 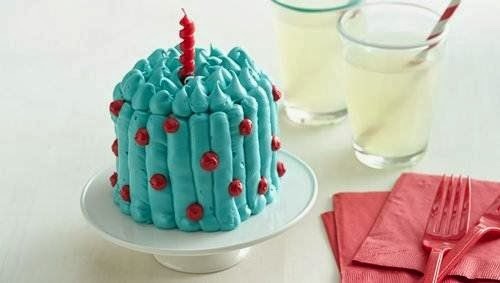 If I had to do it over, I'd make one of these darling cakes instead of spending money to purchase one. 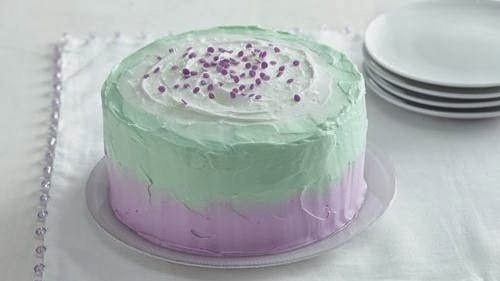 In fact, the cutout #1 is what I would have chosen for my oldest, the sprinkles cake (done in green) would have been for my middle, and the watercolor cake (done in pink and purple) would have been for my daughter. 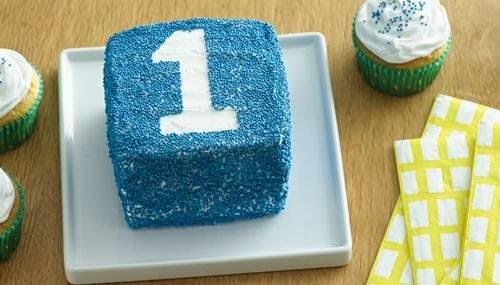 Here is a photo infographic with step by step instructions on making a smash cake. Click on the photo to open it in a larger size or check it out on my Pinterest boards. 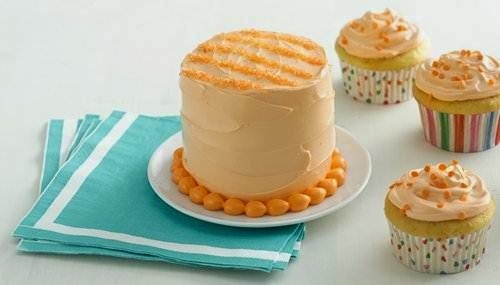 To see all the cakes and their recipes, check out the Betty Crocker website. 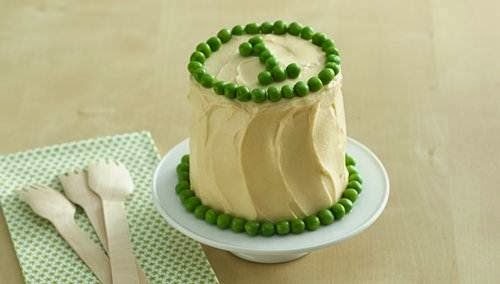 Peas and Carrots Smash Cake – If you’re looking to sneak some fruits and veggies into baby’s first sweet treat, this round smash cake is your best bet. Disclosure: This is a sponsored post. I received a gift card in exchange for my post and opinions. All opinions are my own. 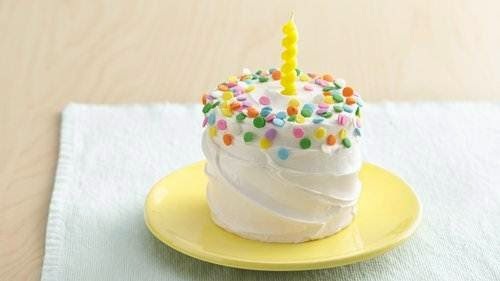 Have to agree with you that giving their own little cake would be much better then spending a fortune on a custom cake. We bought a little one for my son's 1st birthday. He was my first kid... lol. My daughter is 8 months now, so her birthday is coming up soon! We'll be making a little smash cake for her and I can't wait!! 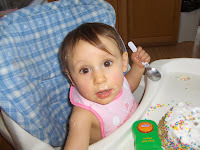 She loves to get a lot messier than my son, so it should be a lot more entertaining! Wordless Wednesday - Congratulations, Nathan!